What is the Behavioural Medicine lab? The Behavioural Medicine (BMED) lab is a research lab (director: Dr. Ryan Rhodes) within the School of Exercise Science, Physical and Health Education at the University of Victoria, Canada. Our mission is to produce and disseminate innovative and population-relevant physical activity and health research of the highest calibre within an environment that fosters collaboration, community, pride, and life balance. Information about our lab and activities? Please choose from the left menu on this page. Information about research projects and participation? Get participant info. Information about BMED students? Get student info. Information about the M-PAC Model? 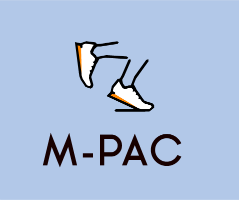 Visit the M-PAC website. 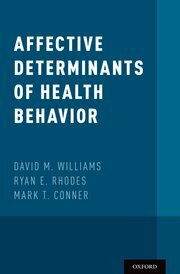 Affective Determinants of Health Behavior, edited by David M. Williams, Ryan E. Rhodes, and Mark T. Conner is now published! Check out the book that brings together this burgeoning area of research into a single volume, with contributions from leading experts from around the world. Check out The Psychology of Habit - Theory, Mechanisms, Change and Contexts edited by Bas Verplanken. Dr. Rhodes contributed two chapters to this book which presents the latest resesarch on habits. Dr. Rhodes recently published a paper on the Multi-Process Action Control model as an approach to understanding and increasing physical activity. Rhodes, R.E. (2017). The evolving understanding of physical activity behavior: A multi-process action control approach. In A. J. Elliot (Eds. ), Advances in Motivation Science (4th ed., pp. 171-205). Rhodes, R. E., McEwan, D., & Rebar, A. L. (2018). Theories of physical activity behaviour change: A history and synthesis of approaches. Psychology of Sport and Exercise (Ahead of Print). Congrats Cassandra on Masters Student Research Award! Happy Saturday! BML is looking for parents with children under the age of 13 to participate in a fabulous study! This study is called the Parent Well Being study and is focused on the health and wellness of parents! Participants are given resources to put towards either a group sport, individual sport, or a night out (examples could be a dinner and a movie!). If this study sounds of interest to you or someone you may know, email bml@uvic.ca to get more information on how to sign up!